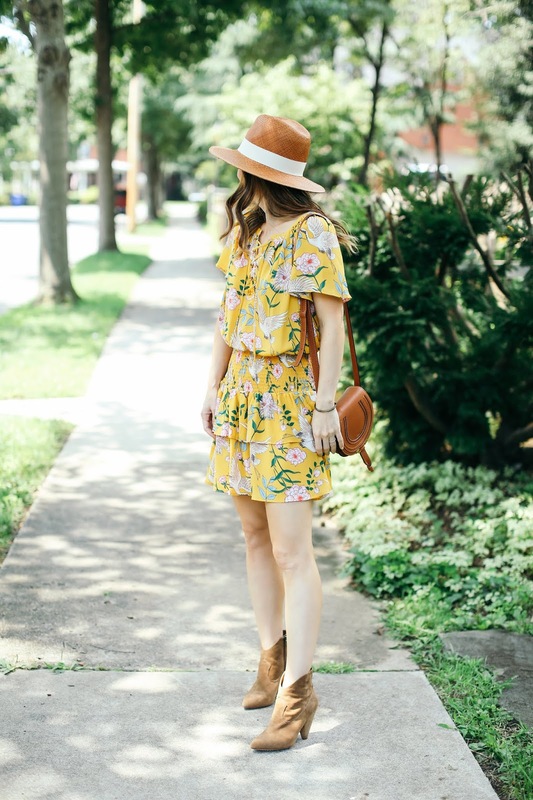 We may still have a month left of summer, but I love pulling out my ankle boots around this time to wear with my dresses. I picked these up during the Nordstrom Anniversary Sale and already know they will be some of my most worn boots. 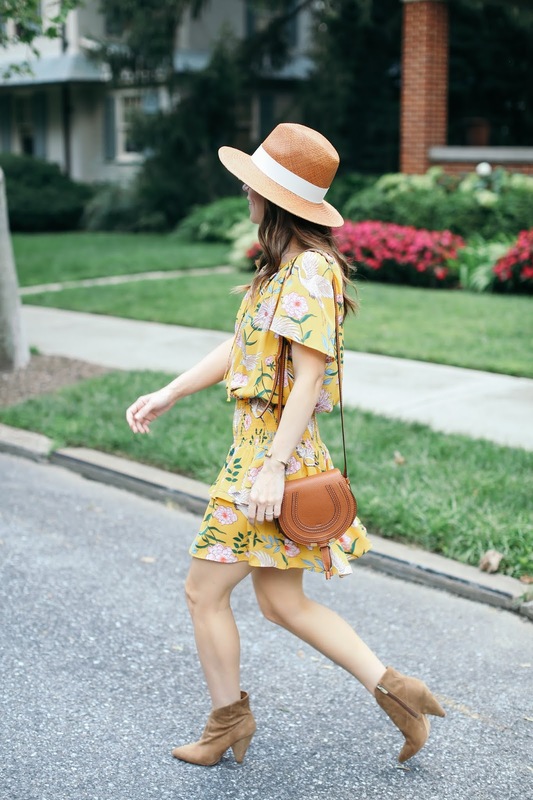 I think they look great with a delicate dress like this one or with a heavy sweater and jeans like how I styled them in this post. 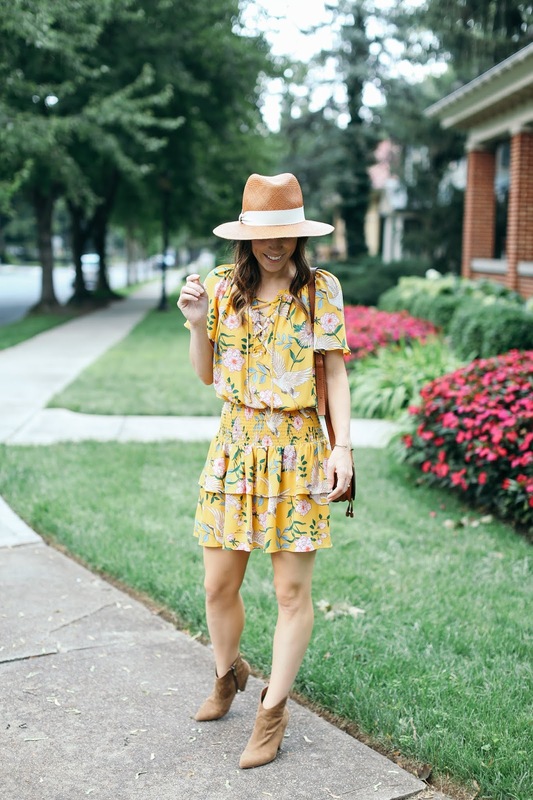 Even though this dress is perfect for the hot weather, I can throw on a denim or suede jacket with ankle boots and a heavier hat, which instantly makes it cute for fall. 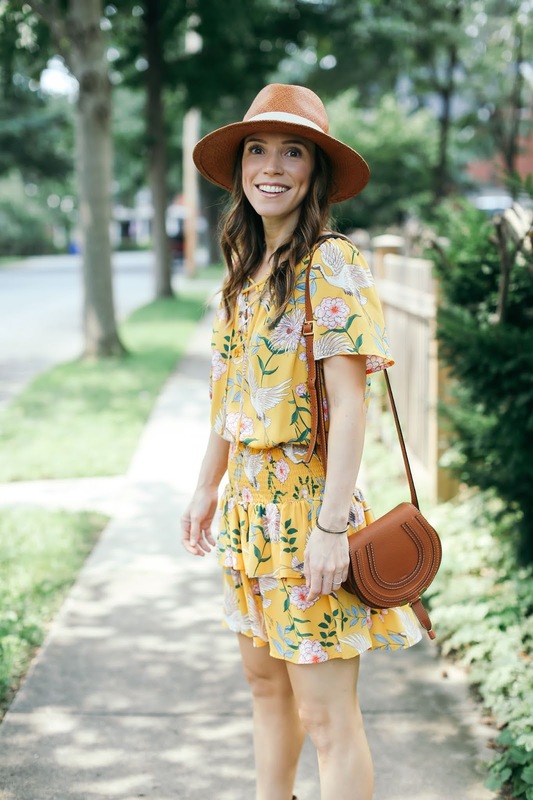 Because of the drop waist, I could even see it worn with a chunky sweater over top so it would look like a sweater and skirt! 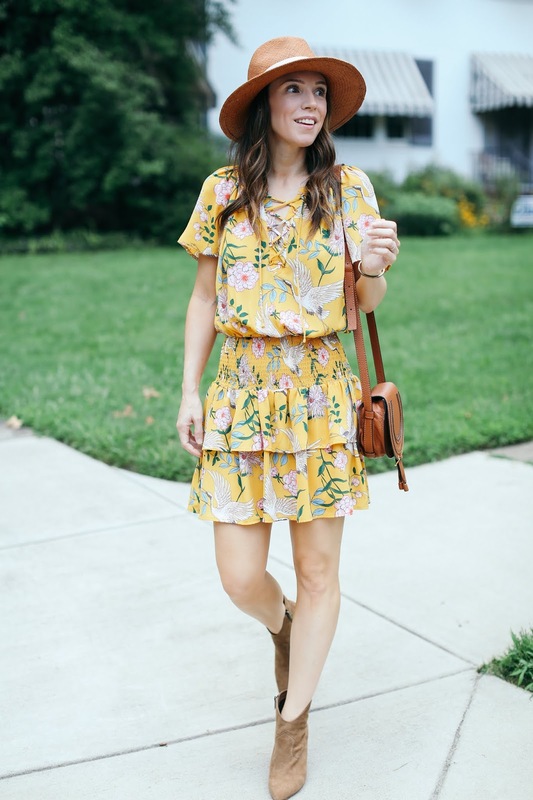 I rounded up a bunch of other dresses in the widgets below that I think would transition well into fall.